Feature: What Does Nintendo's Shutdown Of ROM-Sharing Sites Mean For Video Game Preservation? The recent news that Nintendo is taking legal action against two sites which illegally distributed ROMs has been met with an overwhelmingly positive response, and rightly so. The individuals sharing these files online care little for the intellectual property rights of the developers who slave away to make the games we get hours of enjoyment out of, and instead leverage the growing interest in retro gaming purely to plaster their sites with garish advertisements for mail-order girlfriends and other dubious businesses. Nintendo – a company traditionally very protective of its IP – has struck a blow which will hopefully have long-term ramifications for the entire industry. However, too many commenters have leapt on this episode in order to loudly proclaim that all ROM sharing is the work of Beelzebub himself, an outlook which not only misses the point of digital preservation but also assumes that anyone who wishes to obtain ROM files online is a filthy pirate who has never contributed anything to the world of gaming. While we don't wish to play devil's advocate in this particular case, there are two sides to this story. First up though, let's discuss why Nintendo bringing the hammer down on ROM-sharing sites is a good thing. The sites tackled by the company in its recent legal actions were typical of this kind of operation; they hosted thousands of ROMs (most of which were taken from other sources online) and offered them for free download, with the money-making part of the setup coming from the floods of dodgy adverts. In short, these sites were profiting from handing out copyrighted material which they had absolutely no ownership of; from a purely legal perspective, it's an open and shut case. the process of preserving video games - especially those on obscure formats - is one that requires a surprising amount of effort. Nintendo is a company which does more than most to make its vintage titles available to those who wish to play them; if you want to play a copy of EarthBound or Super Mario World, then there are perfectly legal options available that not only allow official and legal access to these games (and hundreds of other titles), but also permit Nintendo – as the copyright owner – to profit from their use, and therefore put those funds back into development of both hardware and software. Things become a little more complex when you take into account those games which are not currently available in digital form. Any title which contains licencing is almost certain to be subject to a time-limited agreement, and once that period expires a new deal must be written up to allow its continued distribution. In a great many cases this simply isn't financially viable, and therefore these games are unlikely to ever get an official digital release. Examples include the likes of GoldenEye 007, Teenage Mutant Ninja Turtles: Turtles in Time and pretty much any video game based on a Hollywood movie; in these examples, the licence has often changed hands since the game's creation (the James Bond licence passed to EA and is now in the hands of Activision) which makes bartering a deal problematic. The impact of licencing means that a great many games may never see a digital resurrection – and it's something that isn't exclusive to the world of retro. For example, the home ports of Sega's OutRun 2 and After Burner Climax – neither of which could be considered 'old' games – are now out of digital circulation because they both include licenced content; in the case of the former it's Ferrari cars, and with the latter, it's real-life military aircraft. Once the associated deals expire, the games cannot be sold. Sites which distribute ROMs illegally are harmful to the industry, but when companies like Nintendo are using them as a source, what does that say about the state of video game preservation? You can also include in this scenario games for which the ownership is unclear; if a company from the '90s goes bust and its assets don't have a clear owner, those games are effectively in limbo and may never be preserved digitally in an official, legal capacity. 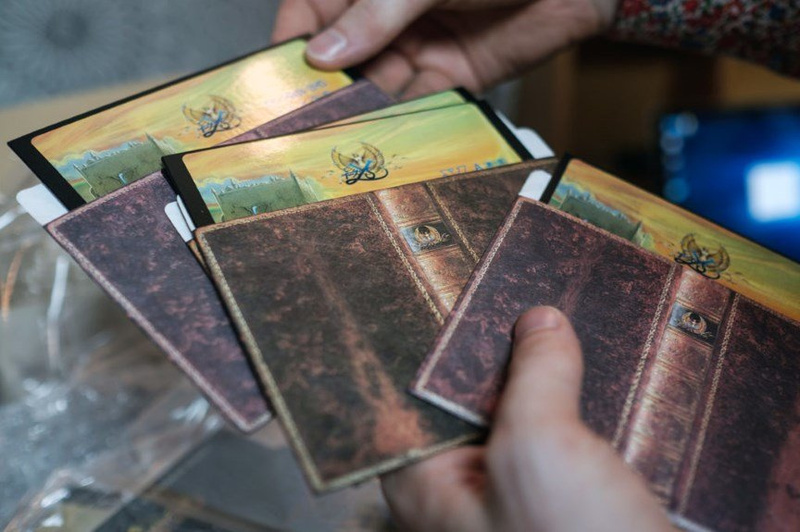 You could argue that the morally correct way of accessing these titles would be to source copies of the physical versions, but this isn't always a failsafe method. The most obvious roadblock is cost – the game itself may have risen in value dramatically over the years, making a purchase unfeasible. Then there's longevity; like any physical media, video game software has a finite lifespan. Cartridges, as sturdy as they seem, will eventually become unplayable, while volatile media like cassettes and floppy discs become de-magnetised over time, and therefore useless. Even CDs, DVDs and Blu-Rays aren't immune to this – 'Bit Rot' is a very real danger that is already claiming optical media that many 'experts' told us would last forever not so long ago. It's here where the line between what's legal and what's right when it comes to game preservation becomes a little muddy; 'dead' companies cannot preserve the work they've done, and even developers which still exist today don't do a brilliant job of looking after their past work. A shining example of this is Sega, which – according to Panzer Dragoon creator Yukio Futatsugi – no longer has the source code for Panzer Dragoon Saga, one of its cult hits and a title which many a Sega fan would love to see digitally remastered. Without these files, a re-release would be problematic. This might seem like an absurd situation, but it's actually a more common situation than you might expect – especially in Japan where, until very recently, developers struggled to see the benefit in painstakingly preserving source code for older games, especially those produced on home computer formats like the PC-8800 and MSX during the '80s. As a result, the original media is dying out and we're losing these games forever. Therefore, the preservation of these titles becomes incredibly important; when someone dumps the ROM of one of these games, they are essentially saving it from the digital abyss. We already know that even Nintendo itself isn't above raiding online ROM-sharing sites for past games; it famously sourced a copy of Super Mario Bros. – a game that it surely has multiple cartridges of lying around its offices – for upload on the Wii Virtual Console. This may well have been a case of someone at Nintendo being too lazy to simply dump the ROM manually (a process which isn't all that hard, providing you have the correct equipment), but it's far from a rare occurrence; during the creation of this feature we spoke to more than one developer involved in collections of vintage classics on modern formats, and they told us that in some cases, no source files were forthcoming from the original IP owner at all – forcing them to resort to other means of obtaining the ROM files. Games stored on floppy discs are almost certain to become unreadable over time, so it's vital that they are 'dumped' as ROM files before it's too late. As you can appreciate, this is far from a black and white situation; ROM-sharing is a legally dubious area and copyright laws are definitely being broken, but if all of these sites vanished tomorrow, part of video game history – such as titles which are no longer in circulation or are on formats that are slowly becoming unreadable, such as cassettes and floppy discs – run the risk of being lost. Like so many things, ROM dumping is an activity which can be abused. Video game preservationists dump this data so future generations can enjoy it, not for monetary gain – take the work of the community which surrounds the Multiple Arcade Machine Emulator (MAME) program; unlike commercially-released home console software, arcade boards are fragile, limited in numbers and much more likely to vanish altogether. The work carried out by volunteers and enthusiasts in the MAME community has ensured that thousands of coin-op titles – including oddball updates, bizarre bootlegs and myriad region variants – will remain playable for years to come, but had these individuals slavishly followed the letter of the law, these games would be lost to time, wear and tear and (in extreme cases) destruction when the cabinet and its internals are scrapped. In this case, is the law right? Ultimately, organisations such as the Game Preservation Society and The Video Game History Foundation aren't interested in 'pirating' games; what they want is to ensure that games don't become lost in time, and many feel from an academic perspective, video games should be available for study and critique, just like classic works of literature, music and film. The unfortunate side-effect of this process is that games which are still in circulation digitally get uploaded to shady sites who then capitalise on the public's desire for retro to generate ill-begotten revenue; it is this procedure which has spurred Nintendo into action and could well mean the end of freely-available ROMs online. At present, Nintendo is only concerned about safeguarding its own IP, but the shutdown of these two sites naturally takes a bunch of games for other non-Nintendo systems offline, too. And should Nintendo obtain its proposed payout, then it could trigger a gold rush as other IP owners move to secure damages against other sites which distribute ROMs. This is a situation that is both positive and negative; Nintendo is striking a blow for copyright, but at the same time could be removing access to thousands of obscure games from the past few decades of history; games that, without ROM-sharing, could eventually be forgotten entirely. I think Nintendo and other companies should come together and create a safe place for ROM uploading and distribution - if preservation, not piracy, is the main point. Turn a negative into a positive. It will probably create some red tape, but at least the games of the past aren’t lost. Nintendo could be planning something.I knowNintendo take this seriously, but they are acting strangely. Yes it is in danger and lots of games that can never be released/rereleased will be lost. This is a major issue moving forward. I see the same danger - ROM sites might not necessarily be dedicated to preserving gaming history, but intentional or not, they're actively achieving exactly that. So I really hope Nintendo doesn't shut down all those sites, because otherwise some games will be lost forever. We all know some official Nintendo Virtual Console releases were actually based on ROMs from these sites, which means even Nintendo don't have all those games archived. I also don't really see how these sites are harming Nintendo's business since they're only offering ROMs for old consoles which aren't sold anymore. So it's not like they're stealing any profits from Nintendo or other companies. Nothing. There are tons of other places to get the ROMs. These 2 sites do not change much. Nintendo is only taking action for their games being freely distributed without their permission, games like Earthworm Jim and the masterpiece that was Shaq Fu aren't on their radar so those roms being out there is of no concern to them. Emuparadise did the right thing by removing all Nintendo published or own roms at their website but now that they brought them back, better hope Nintendo doesn't start going after them in the future. What Needs to happen is create some sort of GOG for Console games, playing old games legally is becoming more and more difficult. PC is a neutral area and companies should get together stop the foolishness and create something like GOG. Many ps2 and PSX games are unplayable today unless you find the original games but also and more troublesome the original Hardware, is just RIDICULOUS. Many GBA games can only be played thanks to emulation, same for gamecube games. You want to play Suikoden 5? Shadow Hearts Covenant? Xenosaga? or even Vagrant Story or Chrono Cross? GOOD LUCK WITH THAT. I don't want to pirate these games I actually want to pay the developers and enjoy it, but what other options do I have? And the use market besides the prices just doesn't give any money to the developers so from an economic point of view what difference does it make to them that I emulate the game or buy it second hand? I will prefer to give the money to them, but they do not care so why should I? I would have no problem with getting RID of ROM sites if I had a legitimate and legal route to purchase them and play them on modern hardware. Also, many many of the games I have downloaded ROMs for are for games I own, but I can no longer play them on my original hardware. There are some awesome games that may be lost forever due to licensing concerns (going to use Beetle Adventure Racing and Goldeneye on N64 as examples here), and that would make me very sad. There really are two sides to every story. I see both ends but remember that one story when Nintendo was using ROMs that...wasn't that on Wii or Wii U.
I don't mind preservation reasons, but that's still not reason to have roms in public domain. It's horse-nonsense. In short: it means AB-SO-LU-TE-LY nothing. There will always be more ROM downloading sites, and every time one gets shut down, a couple of new ones pop up, that's just how it goes, much like with torrent sites. It's something that cannot be stopped. I would however like most of these sites to disappear, because they lack quality, often don't have a well organized or well documented overview of the games, and some are chock full of advertising banners and/or spam. It would be nice if Nintendo just put its entire library online, for a fee that's affordable for all gamers, so that there is a good, legal alternative. I actually think, that most people would prefer that, to having to scour dozens of sites to finally find that elusive game, they've been searching for, for so long. But either way, these ROMs will always be available online somewhere, uploaded by someone new, if the old sites/archives that are currently available, will disappear. No company in the world has EVER succeeded in removing all illegal/semi-legal download sites, and I consider the chances that it's going to happen now, slim to none. All companies should do, is learn from the reasons why these sites exist in the first place, and REALLY listen to their fans, and just get that stuff online themselves. As long as they do it in a way, that isn't ripping us off, by charging amounts that are two to three times too high for decades old games, then they'll win most people over. It means my external hard drives, SD cards, USB memory sticks, etc. are now priceless. @N8tiveT3ch Nintendo had the source code for their games doesn't necessarily mean they had the roms though. It's like writing a paper, I may had the original written copy myself doesn't mean I own the document file of it. People can still take my original written copy, scan or re-type it using a third party device, and make multiple document copies of it then upload it online without my permission. At the end of the day though it's still my work and I had every rights to either take it or leave it. @ThanosReXXX Exactly the only way to fight this is to make those EASILY available to buy. Er, last I checked, nobody has the license to make Bond games. Activision delisted their titles from digital storefronts. Of course, this just makes getting the games harder, should someone want to play them. And this isn't the only licensed franchise Activision has dropped, resulting in “lost“ games. Even though I've been pretty 'loud' about anti piracy in the past on here and other places I understand ROMS and their place, especially coming from the arcade scene. I doubt it effects current sales of past games much at all (those we have atm anyway) but you cant argue if they cause a ruckus and c&d. Only thing I do not agree with is current gen piracy. That's just a kick in the teeth and can damage the current consumer as well as the companies involved. Edit: Also, why write this now NL? It was a while ago wasn't it? I think most companies like Nintendo fail to understand a clear and very simple principle: Preventing people access to roms isn't going to solve anything. But making people not having to resort to these sites will. There is NO REASON WHATSOEVER why old games that aren't tied to a licence of some sort aren't available to play on modern devices. Just imagine a world where all movies and music bought on a device would need that specific model of device to be played and wouldn't play on anything else. This would be insane. And no one would support such a model. But somehow, gamers seem to STILL consider this as "normal" somehow. There is no reason why PS1 games from Sony aren't playable (digital or disc) on modern consoles like the PS4. Same with all NES, SNES, N64 and GC games, at least on the digital front, on the Switch or other Nintendo platforms. And make these a PERMANENT PURCHASE as well. No one who bought a VC game on their Wii should have to buy it again on their Wii U or other console, if using the same account. I don't have to rebuy my music and movies again when I change my phone or tablet. So, in a nutshell, make old games more like music and movies. Treat them like CONTENT, sold for a fair price, that people can keep and play again in the future, whatever the current device you're selling right now. THIS, right there, would kill A LOT of piracy, as people wouldn't have a need to resort to ROM sites in most cases. Look at PC. While there is still piracy, many people, including myself, see no reason to pirate anything because most of what we want is readily available to buy for a fair price. If not on Steam, it's on GoG or other legal sites. There are games I bought many YEARS ago that I can still play today. Games from GoG I bought again for cheap, that were released DECADES ago. Playable today. Cut the need for people to go to ROM sites, and you'll solve a good chunk of your piracy problem right there. Just shutting down sites and not offering any valid alternative won't do anything impactful, I'm afraid. Not granted it's still a violation of the law so I don't support these sites doing what they do. However, we've pretty well learned the best way to stop piracy is to give people a legal way to get what they want. The single biggest killer of music piracy was itunes. Steam fights piracy by making games so easily available(both easy to find and easy to afford) that it's not worth the effort to pirate games. It certainly doesn't justify it but if nintendo actually made their games reasonably available there would be far less demand for rom sites. I totally agree with @ThanosReXXX however, I'm old and sceptical. Nintendo could have all their games online for a fee, but I'm sure there would still be people visiting rom sites to download their games 'for preservation' reasons. "People will buy content legally when its convenient and easy to do so. We think there is a fundamental misconception about piracy. Piracy is almost always a service problem and not a pricing problem. For example, if a pirate offers a product anywhere in the world, 24 x 7, purchasable from the convenience of your personal computer, and the legal provider says the product is region-locked, will come to your country 3 months after the U.S. release, and can only be purchased at a brick and mortar store, then the pirate's service is more valuable." I'm fine with roms on the net for download as long as the site isn't profitting from it. I think most game companies are too. I have an xbox and a laptop with many NES, SNES, and Genesis roms on them. I used to own all the classic systems, but when they stopped working on my modern tv, I sold them for needed cash early in my marriage. I hacked both my NES and SNES classic to include my favorite games. On my WiiU and 3DS, I've paid for every NES, SNES, and Gameboy game I wanted to get my hands on because I love owning legal copies of these, supporting game companies, and playing a high quality version of the product. On many systems, I've bought classic collections and classic games. On the Switch I look forward to being able to play most of my game collection in one place and I'll buy them outright or pay the monthly fee for access to classic games. @Yorumi I can agree with that. I'm always worried of picking up a computer virus when I go looking for a hard to find classic rom game. I'd much rather pay Nintendo or Steam $5 for it. What should happen is that a game preservation group should be uncovering these games and dumping the ROM's in an official way with an endorsement from the publishers and developers. Also, the publishers themselves should be releasing these games the same way film studios do on new platforms. For example, I can buy The Sting starring Paul Newman & Robert Redford, without too many issues on Blu-ray even though the film came out in 1973. That and Netflix always have an expansive back catalogue of film and TV series from the 1950's-2010's that keeps a lot of media alive. In essence, we should not be relying on piracy to keep these games alive in any form. The responsibility should be on the publishers and groups in media preservation to keep the ROMs easily available. We are on the right track with GOG & Steam, that and HD collections keep PS2/GCN/Xbox generation alive. What we need is Nintendo to start up VC again and for Sony to release PS2 and PSOne games more regulatory. Strangely enough Microsoft has done a good job with backwards compatibility on Xbone for OG Xbox and 360 games. What we need are official channels to supply these games to us not some shady pirate site. I play roms and love them. I spend a lot of money on video games a year as well. I love the obscure roms more because I have not played them. Most of them that I download are from Japan with translation patches. I have a very large library of physical games that I own that are in boxes in the garage and in the addict. I recently purchased Megaman Collection 2. I did not want to download these Megaman games as roms I wanted them for my switch. It means nothing, because when they cut off one head, three others pop up. Much like the record companies should have just bought Napster and charged 10c a download, Nintendo should buy a site like ROMnation and then just charge a pittance for a download. Only a certain niche of gamers even bother with ROMs so the usual quality control need not take place. @MasterJay I don't think it would've really mattered, because most of the people who buy these 'classic' consoles do so despite knowing that they could also play on an emulator on any of the common platforms. Because (I assume) they value the haptics and the look and feel of the device that much. I own Goldeneye. In anticipation of the 64 classic I should download roms of Goldeneye, Perfect Dark, both Banjo games, Jet Force Gemini, and something else I'm forgetting. I own all of these but want to play them nicely on my modern tv. I downloaded ROMs i own on my SNES classic. I even out ROMs I didn't but wanted to check out, such as Chrono Trigger which should jave been there in the first place. I bought the DS version after playing it for 6 hours and it is now one of my favorite games. Did the same thing earlier this year with Xenoblade. My computer couldn't run it though (so there goes the HD textures) and I bought it on 3ds. This was after beating 2 and wanted to play the others. I may still have to pirate Saga and Cross. Idk. Advocating pirating current gen games is wrong. But I have no issue with older stuff. "Ultimately, organisations such as the Game Preservation Society and The Video Game History Foundation aren't interested in 'pirating' games; what they want is to ensure that games don't become lost in time"
And that makes the title question irrelevant. You don't think these societies and foundations haven't had the available romsets stashed away for ages by now, do you? The websites Nintendo torpedoes are distributing copies of copies of copies of copies. I doubt even IP owners themselves realistically expect to ever weed out every rom and image out there, so it is a moot point. And it's useless to question their rights (and at times, obligations) to act in the context of "digital preservation" when dedicated digital preservation isn't targeted to begin with - only the boundless public access gets curtailed. After all, striking down illegally distributed pirate copies of an old book or movie doesn't mean it's simultaneously lost for all the straight-face libraries and archives that keep it. ROMs should always be available. So many of these games are no longer available by any other means or are hundreds of dollars on ebay or impossible to find full stop. Even when they are available on newer system they charge far more than they should. $4.99 should be the absolute most anyone charges and ideally, they should only be 99c or $1.99. Nintendo is renowned for hurting itself, either through blocking Youtube content or price locking games. As someone else said above, have a safe space where this can be done legitimately and the problem goes away. Forcing legal action in cases like this, just mean it will go somewhere else. There are countless games that area DEAD now. Youtuber Ross addresses this well https://www.youtube.com/watch?v=tS9vvF1V1Dc . Mostly, games that are online only, or online multiplayer or that require an online authentication can and are shutdown by the publisher at any time and there is nothing anybody can do about it. It`s a pretty serious issue. More serious than shutting down ROM sites because not even PIRACY can fix it. @Steevil beetle adventure racing is a classic and a great example of a game that would never ever be on any service ever again. Most people don’t understand ROM sites or things like the communities that keep old arcade machines games that long since died - alive. Nintendo protecting the handful of ROMs they want to make money off is fair enough. But that’s a minor issue compared to keeping the history of video games alive and the issues are only going to get bigger and bigger as time goes on. This is why we can’t have nice things. These pro-ROM arguments always seem to start the same way and end the same way. @Euler I was going to point out the same thing. I am sure there are those who are genuinely concerned about a specific game becoming "lost". However, when I see some go on about how they modified this and that console/PC to have every game from a console's library available to them and then complain when companies try to combat the practice, I find the concern about gaming preservation to be a bit suspect. Its difficult because in many ways we are at risk of losing some of the best classic games, but copyright holder's should be able to make fair money. I don't know if video game licenses last forever? For books, music and films the copyright time frame is limited. We're losing source code already the blade runner game for example can never be remastered because the codes missing. In those sorts of cases ROMs serve a preservation role. Generally though I'd fall on the side of the rights holders. A sticky and touchy subject. Using an example, consumer knowledge is out there about a little game called Terranigma. Despite consumer knowledge, Square Enix has decided not to cash in-- Copyright expired? Original ROM (that Enix had) lost? Has the original ROM, but just doesn't care to re-release? Working on a re-release under our noses? We the consumer don't know, but we don't get anywhere by begging SE, so... a ROM exists for it, and this is just one in a sea of countless examples. What are WE the consumer to do to play a game apparently lost to antiquity, yet ubiquitously exists on various ROM sites? It's like a long lost book that is no longer in print, no library can be found that stocks it, and someone has meticulously transcribed it before it's yellowed pages fade and turn to dust, or is lost to fire, so that that future generations can enjoy it. @Euler To a large degree black markets are a result of overcharging. Of course nintendo can try to charge what they want and it doesn't justify it but it's usually a sign of overcharging. It wasn't stomping out sharing sites that destroyed music piracy it was itunes. Someone finally gave the customers what they wanted and suddenly the piracy mostly stopped. I'm not saying these people are in the right but it would do nintendo good to consider it. Instead of paying people to take these sites down and do legal action they could be making money while reducing piracy at the same time. @AlbertXi lol Nintendo is too dense to bundle systems with free digital games or even $10 eShop for Nintendo games, which gets stupid with Pokemon being $10 as a game boy game, not the remakes, which won't be on Virtual console. Other than that quick price drop to piss off first buyers for 3ds. One thing this article didn't mention is those sites quite bluntly used copyrighted images all over to advertise. I mean the banner image was freaking Mario sprites. It'll always be possible to find ROMs. The Internet's a big place and Nintendo can't ever clean all of it. I've never used a rom of a game which had a virtual console, remaster or re-release out there. I find most people just use them to play games that can no longer be experienced, and I think that's perfect. The way to crush piracy isn't by taking these sites down, it's with convenience. If I can pay a few bucks to play a game on my Switch, I'll always choose that option first. It means their roms will be uploaded on some other rom site. They didn't change a single thing, except of course for the people hosting the site. I have a large physical retro game collection but for the obscure and super expensive games i use roms with tranalation patches. I am not paying $100+ dollars for a dirty abused Chrono Trigger cart when i can use a rom to play the game. If i could buy a digital copy or compilation cart of retro games for the switch i would. I understand, accept, and agree it should be illegal... but I have no moral qualms with playing a rom of an old game, especially when there is absolutely no way for me to give Nintendo my money for said game. The other example would be I play Super Mario World, Super Metroid, and A Link to the Past on emulators before. I own physical carts for all of them and I've also purchased all of them on Wii, Wii U, 3DS, and will likely do so again for Switch when the become available, so there is absolutely no damage done. @nhSnork The other thing that bothers me with that type of "preservation" is... great, now what? When a museum obtains other types of art for preservation sake, the public can general consume said art in one way or another. Preservation isn't important to me if there's still no legal way to appreciate the art. @ThanosReXXX Agreed, absolutely nothing changes. As you mentioned, no one has ever been successful in eliminating piracy, and I would say it's much harder now than it ever has been with the prevalence of Torrent/P2P sharing in general. Great article, NL. This is one of the areas where Nintendo has really been foolish. Youtubers can't even have Nintendo music playing in the background of their videos without running into copyright issues. And notice how it's never Sony or other companies going after rom sites? Nintendo is uniquely paranoid and overzealous about protecting their IP. It's a bad look for them. @roadrunner343 Indeed. And both for ROMs and all other kinds of media, there's also sites where you first need to register, to even be able to view the available content, so unless Nintendo makes a fake account on sites like these, they wouldn't even be able to know if these offer Nintendo-related content. Personally, i’m all for the preservation of anything and everything, and i don’t care Nintendo’s plan to squeeze good money out of everything, always. They are a greedy and anti-consumerist corporation which deserves a dent to their wallet every now and then. I could be wrong but it's hard to feel like the vast majority of emulated games are as enjoyable to play on anything other than their home platform or a service such as Virtual Console in some instances. Preservation is a worrying thing. Games like the original Pokémon with their batteries expired and those batteries eventually not being manufactured any longer is one example of how preservation is important. @NintendoFan4Lyf makes a great point, turn the negative into a positive. Make these old games accessible and functional, available for purchase. Of course licensing and things are a problem, especially on the N64, but in that case perhaps allow us to prove we own the game and let us legally back up the copy in some way. Who cares? Aren't video games so much better now than they were 30 years ago, anyway? Between "Hollow Knight" and the original "Metroid", I know which one I'd rather play. @DrJiggle "Who cares? Aren't video games so much better now than they were 30 years ago?" Also, back off Nintendo, who are roms hurting? NO ONE. They are ancient games and if Nintendo hasnt made them available then Im glad someone else did. Not to mention, what about all the other roms which arent nintendo related? They have no right to cause those to be lost forever. Unless its a current-gen system, ROMS are fair game. At the very least, for long-defunct systems, Roms are a necessary means of preservation of our gaming heritage (and Im not kidding). considering most of these games would be lost to time if rom sites didnt exist, I doubt games like Earthbound would be the big cult hit if they never released the roms for the series. Also some people even take time to translate games that never made it in the west like the superb Secret of Mana 2 or the unlimited saga series. Anyway there are plenty of sites out there and they cant take em all down one goes down 2 more appear better offer a better service than the pirates if you wanna beat them, but sadly most just want their cake and eat it too. Granted, video games are a more complicated medium, but if only one of these sites could figure out some kind of deal akin to Crunchy Roll. That site used to be an illegal/unauthorized streaming site and somewhere along the way turned legal, official, and arguably one of the biggest components of anime consumption here in the West. It might be hard to get Nintendo to play ball, but I'd imagine that 3rd party companies would be down, while the games from defunct publishers would be up for grabs for the time being. I plus many people have physical backups of complete libraries, I don't think they are going anywhere. While some people may look at having roms as evil, the harsh reality is that most video game companies do little to offer their older games for a consumer to buy. Let me go over some examples. Why is Adventure Island II on the 3DS Virtual Console, but neither Adventure Island or Adventure Island III are offered for sale? On the same token, why is only Adventure Island only offered on the Wii U, with no options to buy its NES or SNES sequels? Why is The Castlevania Adventure 2 not on the VC when the first game is offered for sale? For that matter Konami, where's Metal Gear: Ghost Babel or the NES MG games? Or any Hudson soft games besides a couple that got tossed onto the service randomly? Where are the older Bomberman games barring the ones from the TG-16? Where are the Final Fantasy Legend games or the older NES or Game Boy Color Dragon Quest games? Square? While we're on the topic, why did Japan get all six Famicom Final Fantasy games on the 3DS Virtual Console, and we got none? For that matter, why did Japan get the NES Bubble Bobble? The problem is that older games sit in vaults and none of these companies seem to have any vested interest in trying to put these games out for new generations of gamers. Castlevania Bloodlines was a game that came out late in the Genesis' lifespan. It also has never been released on modern machines, despite the NES trilogy and Super Castlevania getting numerous re-releases on modern machines. Hell, even Dracula X got put out along with Rondo and the Castlevania on the X68000. What is a person supposed to do? Other forms of media don't seem to have this same issue. Let's take older movies for instance. Pick any title, and chances are, you can either buy it off an online store, on DVD or Blu-ray, find it on a digital streaming service, or watch it on TV. I can find films from the 30s on most services, and even silent films if I look hard enough. Combine that with channels like TCM, and you have pretty much every movie at the press of a button. Some titles may not be out there, but those are few and far between. Same goes for TV shows. Hell, you can even watch old game shows from the 70s, 80s, and 90s legally if you want to! My point is, it should be simple to find older games. But let's look at a specific example, and that is Sega. Sega has a history that stretches back to the early 80s in video games, and much like Nintendo, their history even predates video games. Sega was an innovator in arcades that advanced technology and even created genres like the 3D fighting game. They also have an extensive history in the home console market, from the SG-1000 in the early 80s to the Dreamcast. Between their countless arcade games and their home console libraries that number hundreds of games each, Sega should have a massive backlog of games to offer modern audiences. So, we are we getting yet another Genesis collection? Don't get me wrong, I love the Sega Genesis, but that system is only a small bit of Sega's history, and it ignores the Sega CD and 32X side of things as well. The Master System has hundreds of games, why have I never seen a collection for it? How about an arcade collection? Dreamcast that offers more than four games? I missed the Master System when I was younger given its failure to catch on in the US. 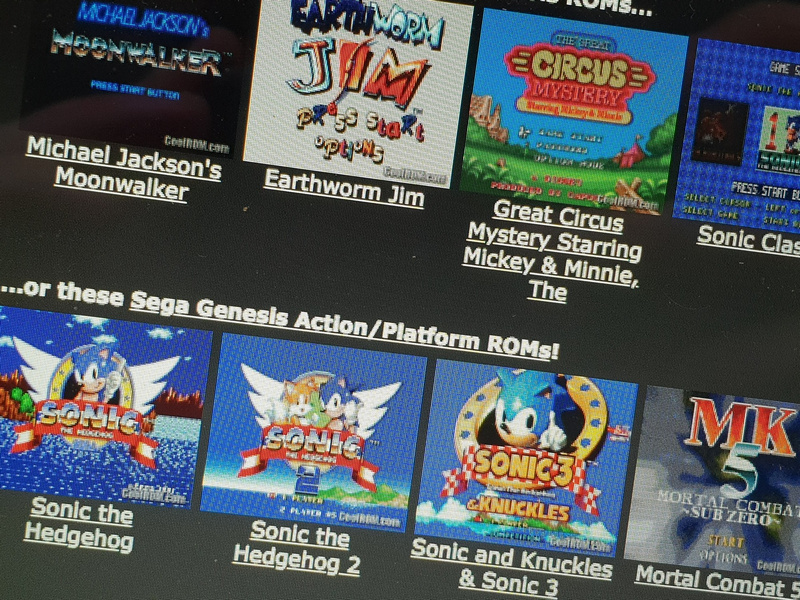 If I want to play Sega's 8-bit titles, I have to use emulation and download roms. Why are these games not for sale? This is the problem here. It runs deeper than licensed games not being put out. Gaming companies are often ignoring their own history, or if they did honor their history its the same games over and over again. Nintendo puts out the same batch of NES games while Sega pretends they never did anything else besides the Genesis. Fans who want to play these games again or like me are curious about aspects of gaming their missed have no choice to dig up roms from the deepest corners of the web. Which raises the question as to why. If I can watch silent films made over a hundred years ago, then why can't I legally buy Master System games? I understand not every game will be offered and of course, licenses can keep certain games from showing up on modern services. But most companies don't even try. Either they ignore their older games or just randomly toss them onto the eshop with no rhyme or reason. Even Nintendo is not immune to this. Why are the Star Tropics games and Earthbound Origins on the Wii U eshop but not on the 3DS one? On the flip side, why is The Mysterious Murasame Castle only on the 3DS Virtual Console but not on the Wii U? I don't understand how any video game company can complain about emulation when they barely bother to put any effort into selling their older games to modern gamers. Perhaps they should see to draw some benefit from putting the sites under the gun, like agreeing to not press charges if the site runners donate their libraries to preservation programs. ROMs still live on and wait for the licensing hoopla to get sorted. Or perhaps we need new laws that recognize a unique form of public domain for media preservation since some titles would never get a chance to be resold. It's a sticky mess. If I can't find the precise right spot to land in the tension of this situation (a spot that probably has as many proposed locations as people considering the question), then I'm gonna err on the side of ROMs and emulators, not on the sides of major corporations - even corporations that I generally hold in the highest of regard, such as Nintendo. Considering that ROMs and Emators are not precisely a perfectly binary black and white in terms of legality, the policy I take personally has been to secure ROMs only of the games I otherwise already legitimately own through other means. This, of course, would be for purposes of playing upstairs on the computer, or on a laptop on the go, rather than having to dust off an actual retro console, blow into the cart a bunch of times, and then fiddle with wires to enjoy them as they were originally intended on my big CRT, isolated from the rest of the house and household in a stark basement. But not only is that it is cumbersome to use real hardware, I also feel like every time I do that, I run the risk of equipment failure - especially on CD-Rom, or floppy-based systems, or hell, even of the tube TV itself. When, as an example, I want to listen to music "the best way", as an end in of itself, I fire up the turntable and spin some vinyl. But 99.9% of my music listening is done via streaming on the internet, 75-80% because of convenience, but 20-25% because I don't want to add wear to the vinyl or the stylus, or expose the old turntable, stereo, or speakers to the risk of a failure I couldn't readily afford to rectify. It's exactly the same with retro gaming. I still believe that the premier way to retro game is on real hardware, over a tube TV. But 80-90-hell, to 95% of the time, that's not how I want to retro game, for the same mix of convenience, and old hardware/media presentation reasons as why so precious little of my music consumption time is on vinyl.That 80-95% of the time, what I'm gonna want to do instead is to retro game via emulation, from the comfort of a non-sub-terranian basement dungeon, on a comfy couch, with the convenience of a wireless controller, and over the beauty of a 43" 4K TV with a good scanline simulator so that the picture looks as close to CRT accurate as possible. Historically, as I say, I've always limited this just to games I already own. But what about the games I will own in the future, after the crackdown comes, and all the ROMs are gone, and I can't just go and get them anymore? The thought of giant corporate juggernauts completely erasing this way to enjoy games seems distinctly dystopian to me, and as such I have at no point over the course of these developments been able to feel anything even remotely approaching celebration, even if the sites taken down were indeed bad actors, and Nintendo was perhaps not even wrong to have done so. Instead all I can perceive is the blackest cloud descending, and so not only will I now act in renewed vigor and haste to secure ROM copies of my games, but perhaps I will also go ahead and plan for the future by downloading beyond my physical collection in anticipation of that day. Perhaps if I have the conviction to do so, I can put the ROMs for the games I don't own into a separate folder the emulators can't see, so that it would take enough work to access them that it properly disincentivizes my playing them until Ican secure a hard copy to justify it. So, I guess that's where I stand, I can do no other. So help me, Zod! I'm not impressed by Nintendo's efforts, the Wii VC was great place to discover retro games, and now it doesn't work anymore, and after 2018 it will officially stop existing anymore. What kind of piracy prevention was that? Since it was mentioned yet again, I'll ask again, what proof is there that Nintendo "pirated" SMB to sell on the VC? You're saying the same people who released unreleased games like DK Original Edition, or the multi lang version of Drill Dozer, don't have a copy of Super Mario Bros.? Who are they kidding? Even if they did manage to shut down every ROM site online (good luck with that), all it would do is force it underground. While I understand their desire to protect their intellectual property, the fact is that most of the games are 25+ years old and of little value to anyone at this point. Ugh...what was the point in having the NES/SNES Classics so easily hack-able to have our own list of games, if Nintendo keeps making it near impossible to find them online? I stopped caring for ROMs and all that a long time ago until the SNES Classic, it would be nice to have more games I grew up with on that system. It means jack ****. If you think closing one site down means the end of all emulation, you are the funniest person I have ever met. Mother 3 is a fantastic example. It is arguably one of the greatest games of all times, let alone JRPG's, and there is no other way to play it other than emulation or a fan made cartridge. Emulation is required, whether you ******* like it or not. I bet Nintendo has a Palace & we need to steal their heart! Whose with me! Best Nintendo Life article I've read to-date. "You ain't happenin' until you've been bootlegged." The repurcussions of video game piracy are the same as they are for music and film piracy; learning to accept that piracy will happen and to innovate how you sell your products to encourage consumers to demand to experience your products in a way only you can provide is key to deterring piracy-for-profit and supporting consumers interested in both new and legacy content. In other words: sell products people want to buy. Wow you guys ACTUALLY support piracy. Love the biased headline. Please. This isn't about "preservation" and you know it. Don't even try to spin it that way. This is about greedy people that want things for free. Screw you Nintendolife for even entertaining the idea. Nintendo has every right to protect their IPs and absolutely should. @Yorumi You'd have to be incredibly naive to deny that music piracy still happens. And the most frequently pirated Nintendo ROMs are ones that are readily available for a low cost. You can get Super Mario Bros. 3, one of the greatest video games of all time, for $5 on the eShop. That's the same price you would pay for a garbage shovelware title like Meme Run. If someone is really so self-entitled that they would sooner break the law than pay $5, I don't think lowering the price to $1 would make much of a difference. Goldeneye, Beetle Adventure Racing, Terranigma, Out Run 2, Afterburner Climax, Panzer Dragoon Saga, Suikoden 5, Xenosaga and Shadow Hearts Covenant are mentioned in this article as examples of how that isn’t the case. Off the top of my head I can think of Burning Rangers, Steep Slope Sliders, in fact a big chunk of the Saturn’s library. PS1 Porsche Challenge, N64 World Driver Championship/Top Gear Rally 2, Silicon Valley, Rocket/F1 WGP/New Tetris, hundreds of old arcade games etc etc. all unavailable to play through approved channels. All games that matter to people. Official services have utterly failed to catalogue gaming history (they were never interested in doing so). That’s why preservation is necessary. @Euler You also have to have a wiiU to get that. And I didn't deny music piracy exists I said itunes had a huge diminishing effect on it. It's pretty undeniable. Steam likewise fights piracy but making it unappealing. There is a certain group of people that's never going to pay for it and they'll always have some underground location to get things. When it becomes an epidemic is when there's pricing problems. $5 for nes games is pretty expensive considering they're 30 years old. @EightBitMan Lol suuuuuure. Get a job and pay for your games. @electrolite77 Any downloading or ROM hosting outside of official Nintendo sources is illegal. I don't buy the preservation argument one bit. It is strange that copyright can last 100 years or more in the US, though it does provide a strange incentive for Nintendo to keep rereleasing their old games. Probably copyright should expire after a more reasonable term, and much earlier if the game is no longer being sold and/or the company is defunct. On the other hand, I'm OK with paying Nintendo $2 per game on the NES Classic Edition - which even comes with a hardware mini-console and Wii remote compatible controller! All I can offer such unreconstructed ignorance is a deep and heartfelt sigh. @EightBitMan Careful dude, make sure not to cut yourself on all of that edge you got there. "and many feel from an academic perspective, video games should be available for study and critique, just like classic works of literature, music and film.! I'm def in this camp. Sure, I've pirated a whole lot of games in my time, but I was never going to buy the vast majority of these games anyway (and actually couldn't with most of them as they're no longer available), and I generally only use them for research in my own game development (most of them I only play a level or two). You simply cannot get a proper feel for what a video game is like without actually playing it, and how are we supposed to properly research and actually learn from these old games if they're gone and/or there's no resource for budding creators to try them out for free as there properly is with the likes of music, books and movies for example (they're called public libraries)? So, regardless of piracy, I for one want to see these game ROMs survive. Maybe someone should start petitioning governments to get all our video games put into libraries alongside the likes of books for future preservation, easy access and free study and learning by everyone (yes, including even poor people). . . .
@electrolite77 It's simple. Pay for your games. When I see people pirating Breath of the Wild and Odyssey, every motion of "preservation" is thrown out the window. Youre stealing current gen $60 games. As long as there are those who will abuse emulation, it shouldn't be available to anybody. Nintendo has every right to protect their IP, end of story. @AlternateButtons How much money do you think Nintendo is losing because of unauthorized downloads? @impurekind Clearly more libraries need to loan out video games and consoles!! If the cinema was charging $5 to see the Wizard of Oz (an 80 year-old movie), I would consider that a pretty good deal. It means nothing, Nintendo already said they only went after these guys because they were making profit and we're not operating as a fan site. ... shutting down sites is pointless. Roms and full romsets are available on tons of rom sites and torrent sites too. Its like shutting down the dude's site who created AM2R ... its still freely available with new updates. So much for playing Mother 3. Sorry, but if they aren't going to make legal ways to play masterpieces like Seiken Densetsu 3, Mother 3, and so on, I will download the Roms with English patches and play them. Start translating and releasing these games, and I will GLADLY pay for them. Nintendo is only hoarding these for themselves, and will provide no means for legit downloading. IP hoarding is all they're good at it seems. Too bad for them that things like the Super NT and flashcarts exist. That, and yes, the entire Snes ROM library can be easily searched. I won't say any more than that. @blecch Not very much, contrary to belief. @AlternateButtons That is so underenforced it's laughable. @AlternateButtons I smell damage control, and you just love it when price gouging companies release their games ten times over and over, huh? @mikegamer Damage control for what? Look, let me make it simple so your tiny brain can understand. Stealing is illegal. Don't do it. The end. @mikegamer Nintendo can do whatever they want with their IP because GASP THEY OWN IT. Guess who doesnt own it and doesn't have the right to make illegal copies? You. I know, new information, totally shocking. God the entitlement is strong. @AlternateButtons Boo hoo, get over it. Nintendo can't stop every single person, stop being a white knight, Nintendo owes you nothing, either. In my opinion, if the game is NOT available to purchase i.e, the publisher/developer is no longer selling the game then downloading a ROM to play the games of yesteryear makes no difference as no losses are being incurred to the business. In Nintendo’s case, a large number of Nintendo’s classics are still available to purchase from Nintendo themselves e.g Wii Shop Channel (for now), Wii U, 3DS, NES/SNES mini’s. This means that if you choose to download a ROM that is readily available to purchase, you are potentially harming Nintendo’s sales and in that case, I believe Nintendo or any publisher/developer would have a fair point. Like I said, to me, if the games are available for purchase still then ROMs should not be distrubuted for those games. Games that are no longer sold I feel should be alright. It means I downloaded hundreds of them in the last week. Oh yes Nintendo Life. I want to preserve video game history by allowing thieves that pirate games to distribute them through internet and gain money from advertisements without giving a single cent to the people that made these video games. I will publish your Nintendo Life articles to other websites to preserve video game journalism history. Roms is the best possible way to keep alive the legacy of the past. And there’s also a commercial side for companies. People know the games in the rom sites and there will be a chance that they buy them if a legal port release on their consoles. For example I never knew a game like Shock Troopers back in the day. But Neo Geo emulation make that game known to me and when the game released on Switch I bought it gladly. If There were no emulation, I would not know that game and so no mony for developers. Remember Napster? Yep I was there who wasn’t. And yes I agree it was wrong but MP3s were just getting started. I had an iPod and ripping CDs was a pain. Now there are so many legal options. I have Amazon music unlimited. It’s great. Could they not find some subscription service for these old games. Give us access to them rather than buying SMB3 for the 12th time. Maybe Nintendo will sort of have it with the online service coming next month. The sites may come and go, but reddit threads and torrent sites will keep these things in circulation. Preservation of games doesn't have to include distribution. Why are you talking about BOTW and Odyssey? Is it really so hard to read the article and the Comments? Try doing that and understanding the discussion before pointlessly commenting. Translation - Some good points here. Make my first post look I’ll-advised at best. Bit complicated though, so I’ll repeat myself and throw in a few insults. In many ways you are the epitome of the Internet. People had already started preserving Switch's ROM since the beginning of the year. Practically every Switch ROM can be downloaded for free, directly from Nintendo's servers. Nintendo should shutdown their own server and stop sharing. Even Nintendo has admitted at several times that they don't have archive data for at least some or likely many of their retro games. Perhaps at the time they thought only the latest games were making them money and relevant, when in reality these games have a retro sentimental appeal for many should they ever resurface digitally on new hardware. The closure of the Wii eShop spurred my desire to collect many of the games that I had as a kid to share with my kids. I haven't gone out and grabbed all of my past collections, but as I find them here and their for inexpensive I grab them. But with digital libraries the threat of loosing access to collections because hardware fails or digital repositories are unavailable is real. On IOS it has been a thing for a long time where old titles are just pulled including from your library, or patched so the game isn't the same as how you may have enjoyed it, which is a big reason I don't buy IOS or Android app games really at all these days. I wish Nintendo offered a service like Steam on PC where backwards compatibility is offered on new hardware and old titles are available perhaps to only stream and you only pay once. Still solutions need to be found for preserving games. @electrolite77 Because theyre relevant to the conversation? You cant talk about piracy without discussing EVERYTHING. you cant leave out certain aspects just to fit YOUR narrative. Nintendo removed a blatantly obvious and easy way for the "common person" to get ROMs off a website that was based in the US and wasn't even trying to be discreet about it. If anyone thinks this remotely affects ROM distribution for anyone else, they're just dead wrong. It's like squishing one ant and thinking that somehow also killed the other millions in the colony. Nintendo hasn't struck a blow nor will there be any slow down. All it did was create a minor, short inconvenience for those who had no other source, which wasn't even that bad considering how quickly and how many replacement sites popped up. Not to mention the other methods there are to get ROMs. @Syrek24 The problem is that you assume everyone that goes after emulation is a dirty thief who refuses to pay money for games. Let me ask you a question. I want to play Castlevania: Bloodlines again. Because Konami, the IP holder refuses to put the game out on modern platforms, I have two choices. Buy a used copy, and a Sega Genesis or one of the modern Atgames systems that can play carts. So at best, at least 49.99 for the cheapest model of an Atgames Genesis clone and 39.99 to buy a used copy off Gamestop. So, almost a hundred bucks to play one game. And that's one of the cheaper games. Besides, who am I stealing money from by downloading a ROM? My Walgreens down the street and Gamestop? Fine, I get that some people will download games that can be found in digital shops and basically steal them. In that regard, I agree with you, that is stealing and no different from downloading a modern game off the internet. But what happens when the IP holder refuses to put a game out? Also, what about playing translated versions of games that never came out in the west. Mother 3 is a notable example of a game that Nintendo never bothered to bring to the West despite demand for the game and Lucas being playable in the Smash series. How about Fire Emblem? Thanks to Heroes, I have been curious to play the games that have Sigurd and Leif in them. They never left Japan, so the only recourse is to play a Japanese rom with text translated in English. How am I stealing from Nintendo if they aren't willing to take advantage of their own IP? Why not translate Geneology of the Holy War and put it out? I would gladly pay money for an official translation from Nintendo, and I doubt I would be the only one. Especially since the translations of many Japanese games tend to be spotty. But with Nintendo unwilling to do this, my only choice to play Geneology is to find a rom and put a patch on it. Yes, getting a rom of Super Mario Bros is stealing and I agree with that mindset 100%. But there are also tons of grey areas, and the harsh truth is, most of these publishers don't give a damn about their own history or offering their older games for newer audiences. That includes Nintendo who to this day refuses to offer a translated version of Mother 3. How am I or anyone else stealing if a company does not want to sell me their product? @Syrek24 But answer this, legalities aside, who is losing money from games whose companies are either defunct, merged, etc? Surely, no one is benefiting from games that are not on any digital store, yes? Only ones losing out are secondhand retailers, if that, and eBay scalpers. Developers of most of these games don't see a cent, and they owe you nothing, so why defend? Man, Nintendo Life posts an article about ROMs and emulators and 90% of the people get an aneurysm. @AlbertXi I agree that it would be great for a GOG-like service for console games, but even they aren't perfect. I just did Starfleet Command for my program recently and they had it there. But if I wanted to do either of the sequels or when I did Bridge Commander, they aren't available. The challenge is deciding which games to make available, do we choose popularity, ease of access to old copies, ignore licensing deals? Like I said, I like the idea, but there needs to be more for overall preservation and research. I have to bootleg some titles I want to cover, but I always try to find a legal option that doesn't break the bank on resellers. "As you can appreciate, this is far from a black and white situation; ROM-sharing is a legally dubious area and copyright laws are definitely being broken, but if all of these sites vanished tomorrow, part of video game history – such as titles which are no longer in circulation or are on formats that are slowly becoming unreadable, such as cassettes and floppy discs – run the risk of being lost." Article didn't need any more than that. "Sometimes in life we don’t get what we want." @AlternateButtons It's not all or nothing. We absolutely can talk about certain aspects of a technology while simultaneously not condoning others. Your responses are so incredibly narrow minded. I don't care if you hate emulation and think it should be illegal - that's a fine stance. At least put some thought into your replies before posting them - especially when you've attacked folks like @electrolite77 without ever actually addressing what we're talking about. As for my personal stance, you can see my original comment on post 51. @Syrek24 Holy self-righteous reply Batman! You bring up morality, and then state it as if it is black and white. Morality is not, has not, and never will be a constant. For the most part, it is entirely subjective. Of course, there are some major common areas that most people can agree on - you shouldn't kill someone - but even then there is debate. Capital punishment? Self-defense? War? Not every has the same morals. As I stated in post 51, I've played emulated versions of Super Metroid, Super Mario World, and A Link to the Past on a handful of devices. I own physical carts for all of them and multiple digital copies. I will likely buy it again. My conscience is clean, regardless of the legality of my actions, and there was absolutely no harm done to Nintendo. I don't understand how so many people can think that because something is illegal, it is inherently evil. Thank goodness not everyone feels that way, and we've seen some positive change over the past 200 years or some, even it does take time. There are plenty of laws that are immoral themselves. @Caryslan The only thing I would add (Not to sabotage your or my position, because I agree with you) is that in the case of Mother 3, I actually can see a point of how damage is being done to Nintendo there. I for one would buy a physical release of Mother 3 again in a heartbeat, should it ever come out legally. However, I do have to wonder, how much damage has already been done by so many people playing the fan translation? Will the game not sell as well not that so many had the opportunity to play it? I can't answer that for sure. All I can answer for is myself, and I know I would buy it again, so I've no personal moral issues playing the game, but that scenario does make me pause and think a bit. "Preserving history" is just a [removed] excuse for pirating. You know it. I know it. Everyone knows it. So let's get that out of the way. Some things just don't really need to be saved, do they? Nobody's going to cry about not being able to find Yo Noid! or Bill Laimbeer's Combat Basketball. I think it's probably a fair bet to say any video game that was worth saving already has been. More will pop up. They always do. Its not Nintendo's games I'm worried about preserving. They're actually pretty good at re-releasing lots of their games. It's smaller, defunct companies that can no longer bring their games into present day. @jhess826 Any video game worth saving has already been saved? Sure. As a result of piracy. Otherwise? Absolutely not. Not even close. "Preserving history" is definitely a huge reason many people pirate. The only difference is you clearly have a difference in opinion on what "preserving" mean. Preserved works of art in a museum are still able to be consumed by the general public. "Preserved" roms do absolutely nothing for the average user - because there's still no way for someone to consume that media, even if the game/developer/publisher is long at of print. So yes, having a large personal collection of roms (Which I do) for preservation sake, is a very real thing, regardless of how you feel of the legality of it. EDIT: Nowdays, I play most of my classic games via flash cart, despite owning physical carts for just about every rom I've ever played and multiple digital copies of many of the games. Why? I prefer playing on original hardware, and I want to preserve my original carts/not deal with the hassle of getting my entire collection out of storage every time I want to play. @roadrunner343 Thought? This is a black or white topic and the answer is clear. THESE GAMES ARE NOT YOURS. YOU HAVE NO RIGHT TO THEM TO DO WITH AS YOU PLEASE. SO STOP MAKING EXCUSES AND PAY FOR THEM. God its like talking to a brick wall. Your whole argument is so self righteous and disgusting. Get OVER yourself. Im not addressing what you're saying because it literally does NOT matter. You cannot have these games for free no matter how you slice or dice or skew it, theyre are Nintendos IP. Stop acting like you have full right to do whatever you want with these ROMS. You and everyone defending this are disgusting. @AlternateButtons So remember the part where I said it's not all or nothing? I'm fully capable of not condoning all piracy? Just like I can use a butter knife without butchering people? Or how I said you should put some thought into your responses before posting them? Because it doesn't seem as if you've read anything. I agree, you should pay for games. Which I have, many times over. I also agree, in this case, it is Nintendo's IP. Which I support by purchasing said games - Both via a large physical collection and multiple digital editions of most roms. Very nice job on posting a complete non-sense, irrelevant reply. If you want to have an intelligent, respectful conversation about the topic, I'm down. If you want to continue your angry, irrelevant, insulting rants - feel free to do so without me. It's no wonder you feel like you're talking to a brick wall at times. Likely because no one wants to engage in a petty flame war. Because you can’t. You can’t cope right opposing viewpoints. You can’t debate. All you have is repetitive shouting. I genuinely despair that in the 21st century we still have people incapable of dealing with life. You and your ilk are the cause of many of the problems with society. @jhess826 Whoa, someone's edgy, using big, strong words like bulls**t and the like, you must be off your meds again. Hate to break it to you, but the more ROM sites shut down, less and less viable means to preserve games exist. And to make it worse, Nintendo won't do a damn thing to provide legal avenues for their games, so what should we do, bend over and take it up the tailpipe? .....and you’re just as bad. It’s because of people like you unable to actually debate things, whose worldview stops at ‘I’ve got my viewpoint AND I’M TYPING IN CAPITALS AND I’M NOT LISTENING TO ANYONE ELSE’ that humanity is currently struggling to evolve. Though to be fair, by posting “God its like talking to a brick wall. Your whole argument is so self righteous and disgusting” about other people directly after ranting in capitals you’ve possibly taken us to a place beyond irony. We might need to come up with a new word. So let me get this straight. A well written article presenting both points of view. 123 Comments which include a long list of quality games that haven’t been preserved. And you actually think it’s a good idea to jump in at #124 with an utterly ridiculous comment like “I think it's probably a fair bet to say any video game that was worth saving already has been.” Are you new to video games? Do you just not like them? How little do you have to know about games to think that everything worthwhile has been preserved? @electrolite77 There is no debate when it comes to theft. Don't even know why you idiots would even entertain the idea. Yes there is. You just can’t cope with it. I fear for you. I don’t have time to try and help people who live in a simplistic, non-existent fantasy world. Why are people on here so sodding close-minded and unwilling to listen to both sides of the argument? Grow up and get over it. @AlternateButtons Considering there have been multiple opposing viewpoints presented, it would appear you are incorrect. If you want to equate legality to morality, feel free to do so. That doesn't mean it isn't up for debate. History has shown countless occurrences of immoral laws. Rather than spouting insults and repeating the same "ITS ILLEGAL SO ITS WRONG IDIOTS" why don't you try having an intelligent discussion with those with other ideas? Just because something can be abused, doesn't mean all uses are inherently evil. @mikegamer "Hate to break it to you, but the more ROM sites shut down, less and less viable means to preserve games exist." That's ALSO a [removed] excuse. What happens is that there are less viable means for YOU to access said games. There are absolutely completely legitimate and sactioned ways of preserving games. Posting them for free, without express consent from the copyright holder, isn't one of them. It's theft, whether they care or not. "Nintendo won't do a damn thing to provide legal avenues for their games, so what should we do, bend over and take it up the tailpipe?" Every single game produced by Nintendo between 1981-1997 is commercially available RIGHT NOW, through the Wii U and New 3DS virtual consoles and the NES and SNES classics. Every single one. @electrolite77 See, you're just being condesendingly clueless. I think it's safe to say that if a game appeared in any form and was commercially availalbe, there's already a ROM out ther for it. If there isn't a ROM out there already, it's hard to argue it was worthwhile to begin with. What Nintendo is doing is preventing the ILLEGAL DISTRIBUTION of said ROMS. And keep in mind, they're not even complaining about the ROMS per se, it's the illegal use of Nintendo logos and mascots on these sites. If you started a website called "Electrolite77's ROMS page, but kept all trademarked images and didn't have advertising, Nintendo probably wouldn't give you a second glance. It's the profiting off of THEIR property they get upset about. @roadrunner343 "Any video game worth saving has already been saved? Sure. As a result of piracy. Otherwise? Absolutely not. Not even close." You are presenting an argument that the only reason any game was captured was to profit off of it by allowing for it to be freely distributed? I would greatly object to that argument. "Preserving history is definitely a huge reason many people pirate....because there's still no way for someone to consume that media, even if the game/developer/publisher is long at of print. So yes, having a large personal collection of roms (Which I do) for preservation sake, is a very real thing, regardless of how you feel of the legality of it." It's nice that you tell yourself that, but I'm certain its so that you don't feel bad feelings about doing something you know is not completely above-board. @jhess826 I'm not sure if it's my misunderstanding or yours, but I have no idea what you are trying to say with the statement below, but I'm pretty sure I did not present that argument... The only argument I made is that many amazing games, including several listed in this article and it's comments, have not been preserved by any legal means. If I misunderstood something and you can clarify, I'll gladly respond. "You are presenting an argument that the only reason any game was captured was to profit off of it by allowing for it to be freely distributed? I would greatly object to that argument." As for "telling myself" something just to make me feel better - that's not event remotely true. I feel just fine because I own and purchase games regularly. If I own a game (Multiple times, in many case) and I play on my original cart, one of my many legal digital copies, a ROM that I dumped myself, or a ROM that I downloaded, there's no functional difference. Regardless, the end result is the same. Legality does not equal morality in all cases. To say that preservation is not a reason many people pirate is just not accurate - it's a huge reason many people pirate. To experience classic titles that are no longer readily available is a very common reason. That doesn't make it right or lawful, but that also doesn't change the reasoning behind it. There's a difference. @jhess826 Wrong. Prove it to me, and please keep using the word "[removed]", keep up the argumentative, sophomoric rhetoric. You mean all 700 Snes games are available on the Wii U eshop? Wow, someone should've told me earlier, let me get my wallet and spend over a thousand dollars today! You're the one spreading bullsh1t, not me. Go ahead, try to stop everyone who downloads ROMs, I dare you. @mikegamer No, genius, all of the games NINTENDO PRODUCED are available on the eshop. NINTENDO PRODUCED games, for which NINTENDO owns the rights to. Nintendo does not own Contra or Gradius (Konami does). It does not own Mega Man (That's Capcom). It does not own Dragon Warrior or Final Fantasy (Currently SquEnix). Go to Nintendo.com/games to see for yourself. All of them. Even the light gun games that otherwise are COMPLTELY UNPLAYABLE on modern TVS. @roadrunner343 " The only argument I made is that many amazing games, including several listed in this article and it's comments, have not been preserved by any legal means." BUT THEY HAVE!! Copyright precedent allows the user of a product to have various copies of said product. If you own a physical vinyl record, you can transfer it to .mp3, cassette tape, video tape; you can transcribe it into music if you want to... Same thing with movies and books. Nintendo will try to argue that video games are different, but they've never successfuly proven or defended that, so any good IP lawyer will tell you that you are ok if you have copies of games you already legitimately own. It's more of a scare tactic than actual legal pressure. PIRACY, which is what Nintendo is chiefly after, is when someone takes IP that they do not own and then makes money distributing it. In this case, someone aquires a massive amount of ROMS that they themselves do not own, and then make money while transferring it to other people. Ad-supported ROM sites are very much illegal. If you ONLY have ROMS of games you physically or otherwise digitally own, you're (probably) fine. But I'm willing to bet you a ham sandwich that 99.99999% of people who download ROMS go well beyond their physical library. @jhess826 It depends entirely on where you live if it is legal to dump your own roms or not. Even so, that does not mean they have been preserved. Again, if it is legal to dump my own roms, what functional difference did it make if I downloaded it instead? The end result is the same. I'd be lying if I said the ROMs I've downloaded didn't exceed the titles I've legally purchased and owned. However, I can say that despite that 99% of the roms I have played, I either own (Multiple times, in many cases) or have no way of obtaining. I fully support the developers whenever possible, but that's not always possible. A slightly different example is I've purchased Neo Geo roms for my Switch. I also play Neo Geo ROMs on my AES flash cart. Me shelling out hundreds, if not thousands of dollars, for a single cart on eBay does not benefit the developer/publisher in any way. As for people profiting off of Nintendo's IP - no argument there, of course that should be illegal. That's not the only way ROM's are distributed. Me dumping my own rom may or may not be legal. Giving that ROM to a friend who also owns the game is illegal. P2P sharing of ROMs is just as illegal, even if you own the games. Ad-free ROM sites are still illegal. Pointing to ad revenue isn't really relevant to the conversation as a whole, as I would imagine even the most staunch supporters of ROMs will tell you they disagree with people profiting off of someone else's IP. @jhess826 Wow, who pissed in your cereal this morning? Stop being a condescending jerk and formulate arguments that don't involve you capitalizing every sodding word you want to emphasize. Oy vey. Also yeah, Nintendo has every right to protect their IP, I'm not refuting that, but that's not going to stop anyone from distributing ROMs. Cut off one head, two more grow in its place, the internet is vast, good luck stopping every single person from getting them. Nintendo owe you abso-freaking-lutely nothing, so what do you have to gain being so damn condescending? Man, I'd hate to see how you react to people who have different opinions. I thought this was Nintendo Life, not the Gestapo. IF you're going to oppose opinions, don't be such a jerkface about it. I agree with virtually everything you're saying. IP Law is complicated, and the ethics around it are worse. I'm in the US, and I may or may not work in a firm that deals with IP law, so I've seen how this stuff works. If you use things on a personal level, you're generally ok. If you aquire multiple copies of somethign you already own, you're ok. If you find things that are no longer commercially available, that falls somwhere in the "Abandonware" domain - where the actual legal owner no longer cares, or does not exist, or for whatever reason is not going to do anything about it. Preservation, though, is done with or without piracy. Flashing a cartridge is not in and of itself not piracy. If the actual program exists somewhere, or the code exists somewhere, it is preserved. It doesn't need to be hosted on a ROM site to be preserved. My irritation only comes when people who download ROMS just don't admit that what they are (probably) doing is illegal and unethical, and that they are doing it because they want to be able to play Contra whenever they want. The whole holier-than-though posturing about "legacy" and "preservation", to me, is just hogwash. "Sodding"? In my vernacular, "sodding" is a verb meaning putting grass seed down on bare dirt. I do not understand the use of it as an adjective. "Also yeah, Nintendo has every right to protect their IP,"
Great, so what are we arguing about? "Cut off one head, two more grow in its place, the internet is vast, good luck stopping every single person from getting them. " This is why companies tend to be overly-litigious when it comes to their intellectual property. If you cut off enough heads, maybe another one thinks twice before growing. "Nintendo owe you abso-freaking-lutely nothing, so what do you have to gain being so damn condescending?" "Man, I'd hate to see how you react to people who have different opinions." I would like to believe I come at them with logic and facts to support my view, but I'm not perfect. You know, like I have in this thread. @jhess826 Sodding, look up UK slang. Second of all, I can say whatever opinions I want, who are you to [removed] and moan about what other people say? But you are trying to act as though you're better than other people, well guess what? Screw that attitude and screw Nintendo for not having a VC like service on Switch. Get over it, and quit being a bootlicker for Nintendo. Oh no, I downloaded a game that companies don't make money off of, sue me lol. Meh, the ROMpacks are out there now and there's no way to get all the copies removed, Nintendo can play whack-a-mole with seperate websites all they like, but ROMs will always be available, and IMO that's a good thing. I think they should create an archive to store the data for any research or restoral purposes. But to simply hand it out for free is crazy. They are a business after all and may release services or remasters of old games and need to have those be profitable. @steventonysmith Oh I completely agree! In my mind, there wouldn’t be public distribution - even for a price. The “red tape” I mentioned would have to be some kind of validitation process to ensure that any ROMs sharing is only distributed to those who are either going to somehow improve ROM (is this a thing?) or an industry professional looking to purchase the ROM license for public distribution (e.g. Hamster with the Arcade Archives). Even uploading would have to require some kind of signed agreement that the ROM will not be distributed illegally, nor contains any illicit code. We are basically talking museum-quality handling here. People can go to the site to view the library and get detailed information and screenshots and gameplay videos. Heck maybe even a timed, non-saveable web-emulator to “demo” the game. But ultimately, the “exhibit” contents are only to be handled by the curators and academics looking to preserve gaming history. On the flipside, protection needs to be considered to the ROM providers. They need to have the peace of mind that their ROM uploads won’t lead to any legal action against them. For a negative to become a positive, concessions need to be made - by both parties. If I had the business savvy and funding, I would start this whole project up myself! @AlternateButtons So when should a video game, like literature, film or music, pass on from copyright into the public domain in your opinion? Or should it never enter the public domain in the first place? Should we just accept companies from restricting access to games that have become part of a legacy and popular culture. Because of these things aren't played, they'll fade away. (Video game) culture needs to be lived, else it dies. And as an F-Zero fan, I find it unfair to have to spend upwards of a 1000$ to get to play the Expansion Kit. I advise you to try watching something like the documentary "RIP: A Remix Manifesto" and gain some sight on the complexity of the issue and its various implications, before getting on your high horse. The hypocrisy of course is that corporations have gladly taken from the public domain, only to go to great lenghts to prevent people doing the exact same thing, using their work to make new creations (Disney as prime example with the Btothers Grimm stories). But you know, the average person doesn't have an army of lawyers. Also, it is shortsighted to just conclude piracy hurts sales. It played a role in Playstation gaining the upper hand on Nintendo, then those kids got incomes and bought PS2's, not Gamecubes. Nintendo's decision to opt for expensive carts was draconian and hurt them in the long run. Another example is how it kickstarted the Brazilian market. I can see the unfairness of a website making money from illegaly distributing other people's work, but shutting it down won't eradicate piracy. Companies need to accept the reality of hacking/ tinkering/ homebrew/ roms & emulators and the positives it brings (experimentation, innnovation, preservation and spread of video game culture). It inevitably brings piracy with it, but a certain degree of that may actually be beneficial and desireable. Just keep it from becoming rampant. @F-ZeroX Lol so you basically support socialism, got it. Companies have a right to protrct their IP. We, the consumers have no right to simply take it for free. You claim I'm on a high horse? I only stand up for the law. It's you, who is arrogant enough to believe that these properties are owed to you. The entitlement is strong in you. I suggest you learn your place. Well, this is a pointless article. Plenty of people, some this very site has highlighted, are doing a perfectly good legal job of preserving old games. They're just not stupid enough to then go illegally distributing them. Sure, that means that most people can't actually play the rare games, but we aren't entitled to free entertainment just because something is rare, and the games are still being preserved nonetheless. It's up to the rightsholders as to whether or not they will someday rerelease those rare games, and if they no longer possess the source code themselves, then there's no reason they can't reach out and make a deal with one of the archivists who has saved it. @AlternateButtons Btw, "the ... is strong in you" is a copyrighted sentence. Disney wants to have a word with you. For every site that dies, 20 arise. Nothing to worry!